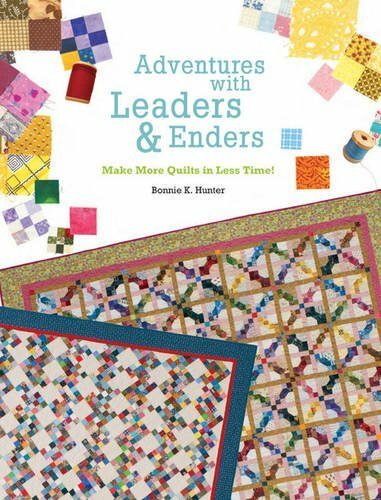 Home > Books > Adventures with Leaders & Enders: Make More Quilts in Less Time! What if you could piece quilts even faster, work on more than one quilt simultaneously and save money, fabric and thread all at the same time? Bonnie K. Hunter will show you how to put the concept of Leaders & Enders to work quickly and easily, expanding your creativity, and upping your productivity all at the same time. This book contains many ideas for getting your ever burgeoning scrap stash under control.